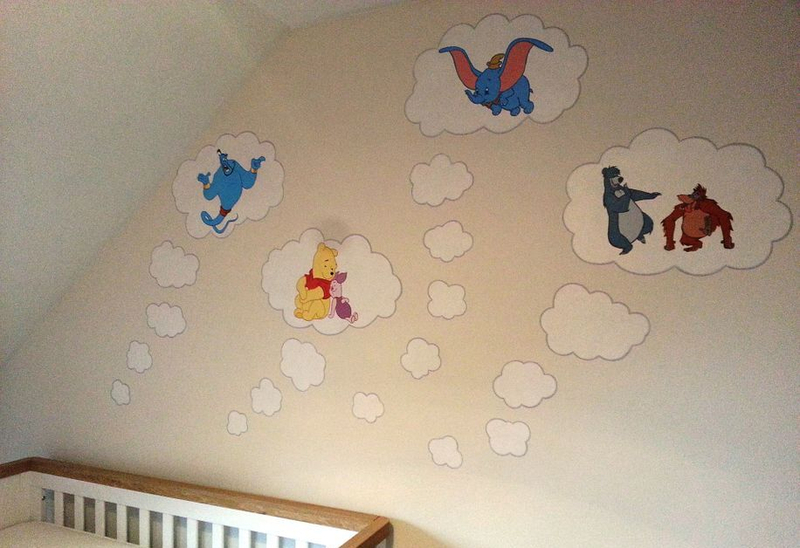 In just two days we painted these fun dream bubbles with Disney characters for a young couple expecting their first child. The dream bubbles are situated above the cot, and give the room a playful feel. 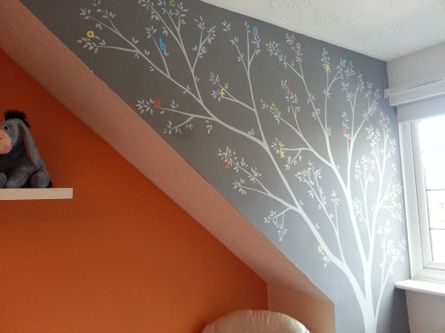 The window for the room was in a sort of alcove, so to utilize this odd shaped space we painted two mirror image trees (although it may not look like it, the trees are both painted in the same pale grey, but the different back ground colours make them stand out in different ways). One of the trees has the letters of the alphabet painted in the branches and the other has numbers up to ten. 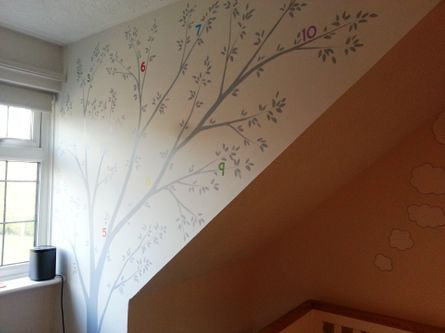 These trees again add a fun element to the room as well as making a useful learning tool for when their child is a little older.